In order to upgrade its consular authentication (legalization) service, the Consulate-General of the People’s Republic of China in Calgary will outsource their authentication service to the Chinese Visa Application Service Center (CVASC) from August 1, 2018. Starting from that date, the consular authentication (legalization) applications of Canadian citizens as well as third-country citizens should be submitted to the CVASC in Calgary, according to the the location of the Canada’s authorities which authenticate the documents and the corresponding consular jurisdiction of the Chinese Embassy in Canada. 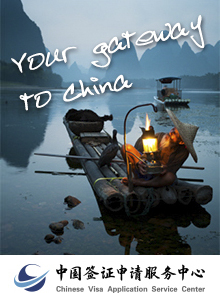 All the applicants should submit their application documents in person, either by themselves or by their agents according to the authentication requirements stated on the CVASC’s official website (www.visaforchina.org). The service of the CVASC includes receiving applications, fees collection, document release and inquiries. Application assessment and issuance of the authentication certificates remain to be decided by the consular officials. Consular authentication (legalization) applications of Chinese citizens can be directly submitted to the Chinese Consulate-General according to their consular jurisdictions. The CVASC will provide applicants with a more comfortable service environment, more timely inquiry service, longer service hours and more convenient services, while conforming to the laws and regulations of both China and Canada to ensure the safety of the applicants' personal information and documents. The CVASC will charge a service fee for each document to ensure its proper operation and high-quality service. NOTICE:Our visa counter will accept rush service(2nd-working-day collection) application until 11:30AM.